This is my first time joining in with this meme, but I need to share my book wishes. It is cheaper than therapy! Abandoned to the workhouse after the death of her guardians, Cora Parry refuses to accept her fate. Under the tuition of persuasive street rat Fletch, Cora finds herself reluctantly drawn deep into the Victorian underworld. As she is gradually seduced into a life of crime, Cora creates a persona for herself - Carrie - allowing her to separate her uneasy conscience from her actions. But soon things are spiralling out of control. Carrie is committing acts of crime that Cora knows she can't possibly have done. Where does Carrie end and Cora begin? Who is really in control, and where will it end? An atmospheric page-turner from a talented storyteller. Don't they both sound really good! 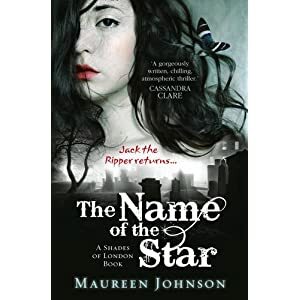 I also love teh sound of The Names of the Star - as a londoner I love books set in my home town! Adding The Name of the Star to my wishlist right now. Sounds good! I always find loads to add to my list from this feature it's great. I hope you don't have to wait too long for them! I like the sound of both those,,,thanks for sharing..
You convinced me! The Name of the Star just went on my wishlist too. I love young adult mysteries. they both sound very good!! The Name of the Star is on my wishlist too! I only read one of Maureen Johnson's book, but I love following her on twitter. I need to add this meme to my Memes page! Blogger stuff: I'm still hoping to get my lost comments back. I also noticed that the affected post was not my final draft! 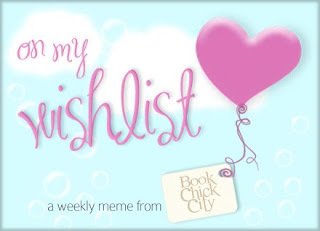 BookChickCity - thank you for running such a fabulous meme. Mel - sounds like I am going to need a bigger book shelf. My Keeper Shelf -my list is already growing. Bermudaonion - so do I! After Dark - Dreaming doesn't cost anything. Kathy Martin - me too! Naida - they do, don't they. Kay - I haven't read any of her books yet. I will keep a lookout. Suko - Blogger is killing me at the moment. I have spent three hours on one post. Raimy - Sorry, have I just added to your list. I'm on vacation. That means: freelance writing, doing some web design work for clients and looking for a job. But when I'm not doing any of that stuff I'm reading or having fun. Come see what I'm wishing for.